Power is one of the central issues in our lives. From work to personal relationships, the struggle for power plays a pivotal role and, more often than not, prevents us from attaining freedom and happiness. The bottom-line mentality in our culture seeps unnoticed into every other part of our lives. Thich Nhat Hanh illustrates how our current understanding of power leads us on a never-ending search for external markers like job title or salary. What prompts the trip is Otto's recently altered life, having lost first his wife then his job, and then seeing both his children leave home for lives of their own. With Rinpoche's guidance, he hopes to find a new meaning in his life and a new direction. But what begins as a quietly contemplative journey becomes much more as the two men travel through the heart of the American Midwest, witnessing the decimated lives of so many American natives and giving Otto new perspective on the trials he is experiencing in his own life. Along with these inner awakenings for Otto, there is also a very real hint of menace in the novel, as men show up who may be looking to make sure that the world never knows of the existence of Shelsa, the eight-year-old daughter of Rinpoche and Otto's sister, Cecilia. Shelsa has consistently shown that she has the markings and the instincts of a spiritual leader, leading to speculation that she may be the new Dalai Lama. I just finished this book and now only realized there were two previous books - Breakfast and Lunch with Buddha. Now I am going to have to go back and read these two as well. This story is something everyone should read. No matter your religious persuasion, the points made by Volya Rinpoche are ways of life we all should strive towards. While this story is about Otto Ringling's spiritual journey, for me, the words of wisdom from a Buddist perspective gave me goose bumps and made me pause to reflect on my own attitudes and affirm many of my own beliefs. For me, the wisdom imparted will be what I remember about this book. Another wonderful thing I loved about this book was just the tales of their journey from North Dakota, down through Nebraska, into Colorado, the Southwest and to Las Vegas. As a former Colorado resident of thirty years, and an explorer of every one of those states, I found it a very visual trip down memory lane of the differences in people's attitudes in each state as well as the changes many places and the people have endured as so called progress is made. Often I was left with smiles as he described the essence of Boulder or the rawness of Leadville, to name a few. He was so spot on. Then with a sinking heart when he told us about how the peace and beauty of North Dakota has been fouled in the pursuit of oil. I could go on and on with my little trip down memory lane, but I won't. Just read this book. I am certain it will take you on your own trip in one way or another. One last thing - the author has given us a wonderful story, well written with good and clear character development. Maybe a few repeated comments but no lengthy repeated narrations. The narrator is also excellent - his tone, speed and diction make it very easy to listen to. I sort of hope there is another installment. 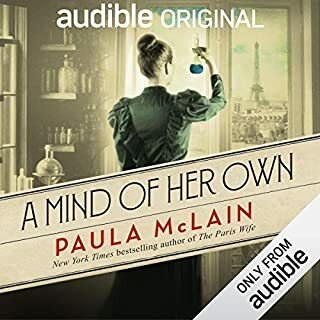 But with that said, I have say this book was complete, stands on it's own and I was satisfied start to finish even without listening to the first two books or ever reading any future installments. There are sequels that are not up to the stature of the first story, this was not the case, every book was as good (if not better) as the previous one, I was not disappointed at all. It is difficult to be simple and profound, these books deserve a second reading. Years ago, in my book club, we set about making a list of our 10 favorite books. The criteria was simple, these books had to touch us in one way or another during the course of our lives. Breakfast with Buddha made that list and I had only read it a book or two previous to making the list. I've now "sat" through Lunch and just completed Dinner! What a magnificent story. Each book seems to be better than the previous. Each character seems real and could be someone you might know in life. 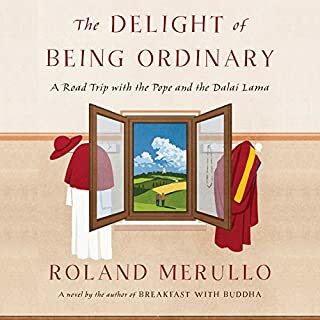 Merullo has given us characters riddled with basic human flaws all seeking to be their best selves and then given us Rinpoche who teaches so loudly in his quietness. The spiritual messages and the commentary on life, history, and the human condition are both subtle and clear. One could read this simply for a travelogue-esque story or one could read to help find a better understanding of themselves sans the typical Protestant pulpit teachings. Now I shall wait as patiently as possible hoping Merullo will serve Dessert! 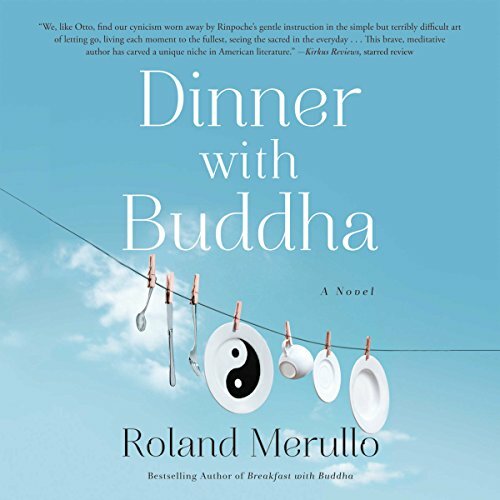 I listened to the first book, Breakfast With Buddha, and was enthralled, enjoying it immensely. I started this one and began by enjoying it immensely, but half way through, I became bothered by something. As it progressed, the bother continued. I will try to explain my disillusion, so if you are a fan of the first two books and can' t wait to listen to this one, disregard my review. 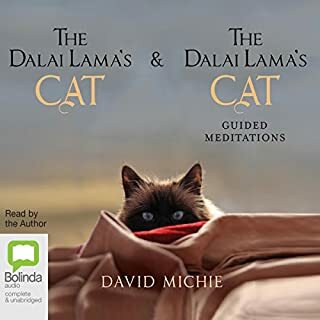 This book, once again, consists of a long reluctant road trip between Otto and Volya (the Rinpoche, the guru, the now husband of Otto's sister, Cece). Cece has once again coerced her brother into accompanying her guru husband on a trip, this time, to the mountains, for a momentous occurrence she dreams will happen. Otto is once again at loose ends, currently mourning the loss of his beloved wife and his job. Yes, quite similar sounding to Book 1, the only one I have listened to. What Book 3 was missing for me was the enchanting humor of the first book, the endearing qualities of Volya. What it HAD that really went overboard was too much of the Rinpoche's spiritual musings, his encouragements and guru advice to Otto, too many pearls of wisdom. After the middle of the book, it just didn't seem to stop, over and over, ad nauseum. 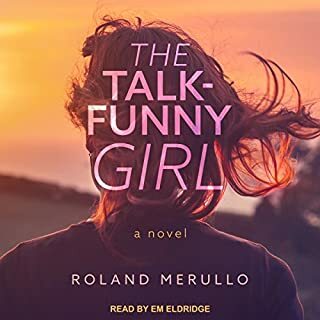 The humor seemed to disappear, the accent was no longer so funny, the author seemed to take himself way too seriously. For me, the fun was gone. It became, I am reluctant to say, somewhat boring. Even the tension disappeared in a wisp of smoke at the end of the book. In the positive column, the narrator, Sean Runette, did his usual excellent performance. No problems there. Mine is not a popular opinion. If you are excited about listening to the last (last, yes? no dessert, please!) installment, you will read the consensus of opinion and go head and get the book. You certainly should! I started out so charmed by this book, subtle humor, nuggets of wisdom, reminders of higher aspirations. Hour 1 was great, same stuff new location on hour 2, same stuff new location hour 3. I could go on, but I don't want to be a repetitive as the author. By hour 5 I'm so tired of the not so subtle sacred cows the author is trying to shove down my throat that I'm ready to gag. Unimaginable to me that some people have listen to 3 books of this stuff. Other than a new location, the same ideas and points are made again, and again, and again..... If I would have had another option, I would have stopped the pain and listened to something else. It did keep me awake as I ranted to myself about the *surprises* in the next chapter. I did enjoy the narrator though and would look for him again. Roland is hopeless. He had at best a couple of hours of good material and stretched it out beyond belief or my endurance level. An exceptional performance and writing. The observations of western America, with bits of real history, geology, fascinating features, and people were a delightful inclusion. The story line, the characters, and the undercurrent of a mysterious change happening were perfectly presented. Love this series. Good book, just not the same level excellence as the first two. This book has more about letting go and embracing faith than the other two and for me it lost a little because if it. Still enjoyed it, but not as compelling as the first two. For those hoping to enjoy a great novel and learn about the essence of Buddhism, this is a great book. I recommend starting with breakfast with Buddha. The writing on the road trips are excellent with a lot of interesting twists and turns along the way. Sean does a phenomenal job reading the story. I can only hope that this series isn't finished. What an amazing, eye opening, thoughtful book. Loved this one and the entire series. Highly recommend! I love these characters and the road trips. I apparently missed Lunch with Buddha, so it is now on my wish list. 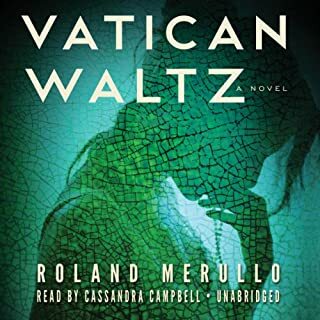 I just hope Roland Merullo is writing the next book or that it will be out soon. I loved the first two books and so was very keen to get the third. I was a little concerned that this book might not live up to the first two as I have read reviews which said that it was a bit preachy. Not to me. I can see that one might feel that way if you haven't listened to the first two. I found the book to be every bit as good as the first two and the narrator - who is as brilliant as he was in the first two books - kept me fully and compulsively immersed in Otto's story. Otto, still very human, is at a different stage in life and asks different questions. They seem a logical follow on from his first (reluctant) encounter with spirituality. I enjoyed his continual questions as to whether he is a 'flake' or whether he is about to miss out on something real. I galloped to the end but also didn't want it to end as there isn't a fourth book written by the author yet. Really hope he does write another one and that audible uses the same narrator. 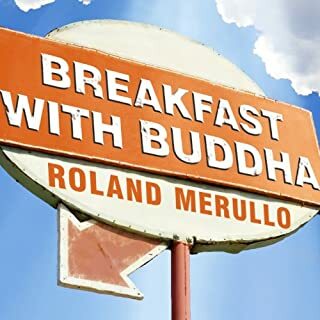 So highly recommended, but suggest that you listen to Breakfast and Lunch with Buddha first.